This is the opening of Emilie Griffin’s book Clinging: The Experience of Prayer, a short (seven chapters—67 pages), but deeply personal book about prayer/praying. We invite you to join each Sunday in June for a discussion about this book, led by Char DeWitt, a member of the Stewardship Committee. 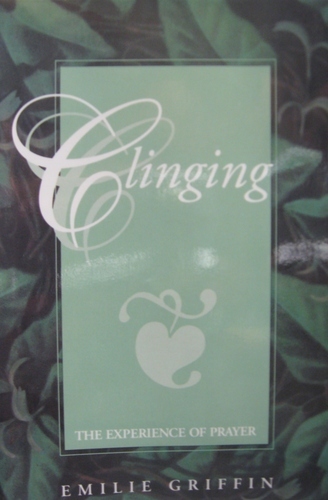 We will meet from 9:30 to 10:15 downstairs in Gardner Hall; the book can be purchased in the Gift Shop. Join us for our summer sesquicentennial event, Pray + Walk + Do on Saturday, June 16th. 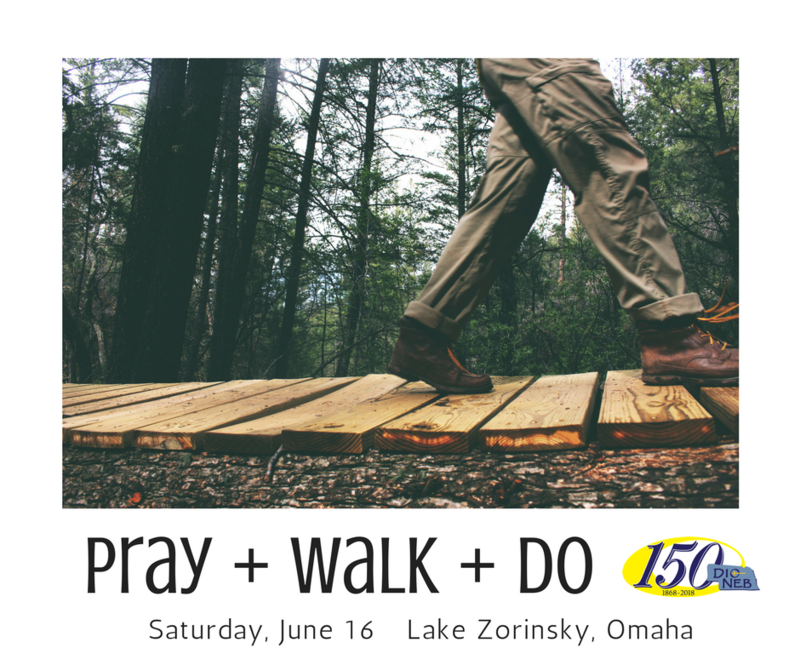 Bring the family and join us at beautiful Lake Zorinsky in Omaha for a 5K Run / Walk / Stroll on a well defined trail followed by a Prayer Experience and breakfast (featuring “over the grill” burritos). There will be a bounce house for children and lots of space to play. Check in begins at 7:30 am with the Walk/Run beginning at 8:30 am. As you check-in, each person will be given a small stone to carry. A liturgy of welcoming the new day will be offered right before “start” time and the stones will be blessed. All begin the journey (in whatever speed you wish) and are encouraged to find your prayer voice - it could be silence or it could be conversation. In the prayer we invite all to seek or hear what one thing God is calling you to do - to serve - to love. As you finish your walk each person will be invited to build a small altar from our stones in thanksgiving and in a renewed commitment to serve. The class is open to anyone and will serve as the spring new member class. Please RVSP to Dean Loya. Vacation Bible School June 18-21 from 5:30 to 7:30 PM. We will be journeying through A Wrinkle in Time with Dare to be Different! Dinner will be provided starting at 5:30. All children in grades Pre-K–6th are invited. To register contact Sue Wilkins at swilkins@trinityepiscopal.org or Erin Van Zee at erin.vanzee@icloud.com. Debra Reilly and Bob Culver invite the cathedral community to join them starting at 6:30 pm Sunday, June 24th for the production of “Much Ado About Nothing” at Shakespeare on the Green. The play starts at 8:00 pm. They will provide personalized wood fired pizzas from Prairie Fire Pizza, plates, and wine. You are invited to bring other snacks, desserts and drinks you might want. This is a fun event for the whole family. Kids are welcome. We’ll fly an Episcopal flag outside the tent and show the Omaha community our festive Episcopal best! Wear your Trinity T-Shirt too! Each Wednesday from June 27-July 25 (excluding July 4) parishioner Shaun Warkentin will lead a class on food, creation, faith, and the relationships that bind these together. Food sustains our physical bodies and the tables we gather around deepen our connectedness with one another. Join us at 5:30 on each night of this class for a soup supper before delving more deeply into the relationships we share with one another, the earth, and God’s creation - all through food! On Sunday, July 29, parents are invited to bring their children and sing together in Summer Choir. Rehearsal meets at 9:30. On this day, everyone will wear Trinity T-shirts (available for purchase in the Cathedral Shoppe). Visit our website and watch Cathedral Matters for more information as the date approaches. 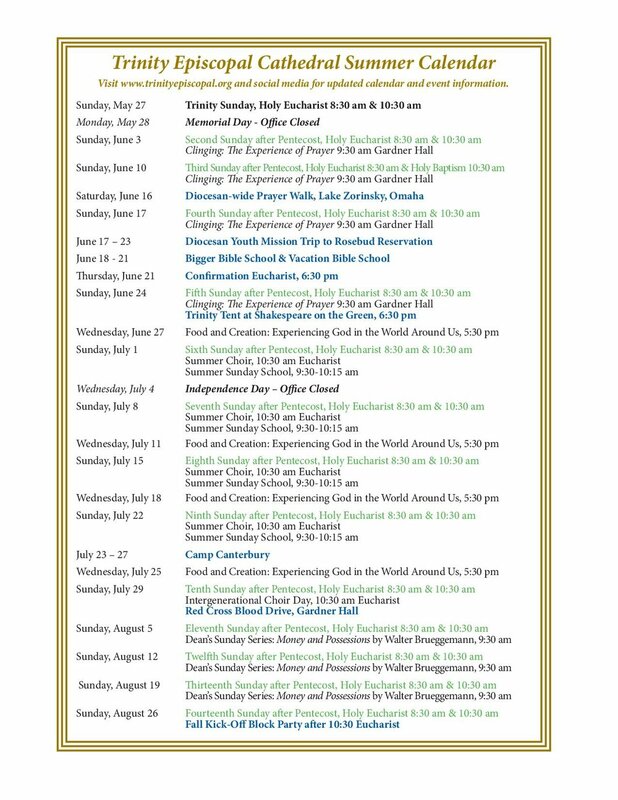 Children (and families) of all ages are invited to join us for Summer Sunday School the first four Sundays in July. This will be a fun way to engage our faith story this summer at Trinity. Several cathedral members will be sharing their gifts with our children and youth from 9:30am-10:15am July 1, 8 15, and 22. Guests include: Drawing and cartooning with Tom Kerr, Food, Farming and Creation with Shaun Warkentin, Arts Ministry with Amanda Stevenson of the Omaha Children's Choir, and Poetry Writing with Sue Wilkins. We hope you’ll join us! Watch the Cathedral Matters for sign up information in the weeks ahead. What does the Bible say about money, possessions, and the intersection of our faith and politics? In August, Dean Loya will lead a four-week series based on Walter Brueggemann’s book Money and Possessions as we seek to explore these themes. The world we live in and the reality envisioned by scripture frequently speak against one another especially when it comes to politics, and economics. Join us as we explore how the vision of the Bible can help us be agents of transformation, justice, and peace in our own lives. Celebrate the start to the program year with a joyful party on 18th Street, outside the cathedral, on Sunday, August 26. Treats will be available all morning, and after the 10:30 service, lunch is provided, and kids (and kids at heart) can enjoy games and a bounce house. Students are encouraged to bring their school backpacks which will be blessed during both services with prayers for a great school year!